Launched in 2018, Shinco India’s flagship technology-driven products comprise of a 55 inch, 49 inch and 43 inch smart TVs with a line-up of a wide range of models that boast an outstanding enhancement in design, R&D functioning and hardware-eminence with ultra-slim screen fluency. With a Quantum Luminit display, the range of 4K Ultra HD SMART LED TVs is fused with a Wide Color Gamut that supports 95% NTSC and the HDR10. It is a step towards more realistic TV images with a 10-bit display. 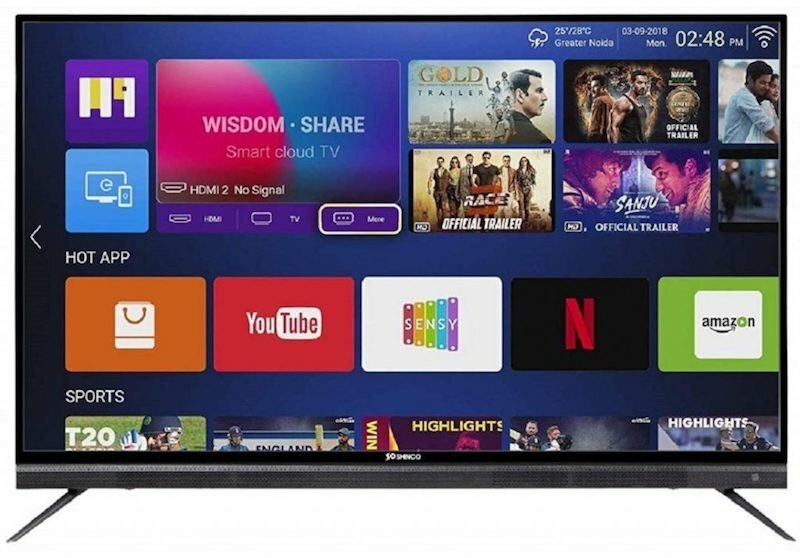 Shinco has also added ‘Voice Recognition’ feature into the Smart TVs that allows the users to command the TV via the Sensy Remote App installed on the user’s smartphone. Shinco India’s Smart LED TVs range comes with an “Air Click Remote” designed with a QWERTY Keyboard, which allows seamless operations possibly from any corner of the room. They come with a built-in 20 Watts Sound Bar powered with Boosted Tweeters, which simply raises the bar of sound with utmost clarity. And, all these come with 1GB RAM and 8GB ROM. Connectivity options include Bluetooth, 3 x HDMI,2 x USB, Ethernet and few others. With Android 7.0 version, Shinco enhances the user experience of viewing entertainment apps on televisions and allows users to download their favourite apps via the APP store. Having a network of more than 800 plus service centres, Shinco offers its services PAN India. The ‘Shinco’ app is available on Google Play Store allowing you to easily drop-in a request for installation/repair of your device or register your product online.